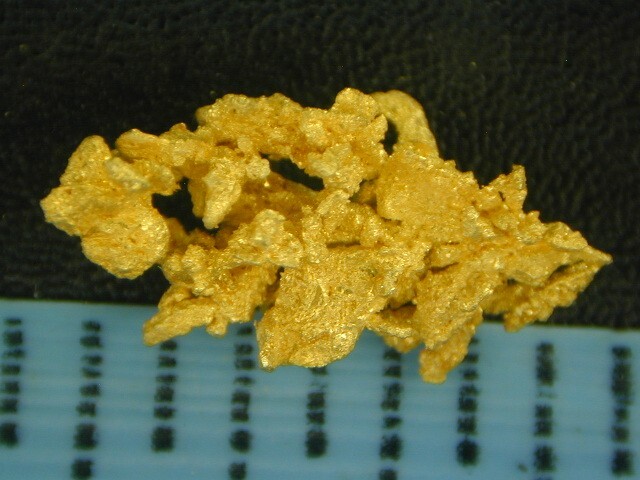 Dendritic Gold Crystal Nugget - Round Mtn - - It's Free! This incredible Gold Nugget Crystal Specimen from the Round Mountain Mine in Nevada is 7/16" long. 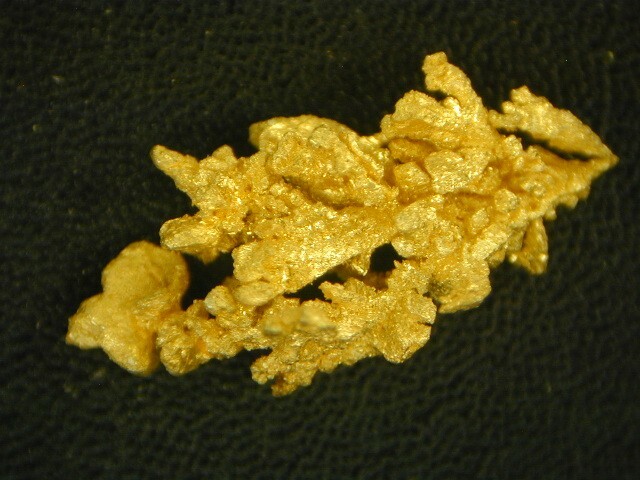 Look at the way this natural gold specimen has been formed. It has a beautiful dendritic leaf type formation. No two of these specimens are the same. Each one has it's own pattern and character. A gold nugget collection is not complete without a few of these Round Mountain crystals.